Diabetes management can be challenging. Life, hormones, illness, food and activity are just a few of the many things that can impact blood glucose levels. Thankfully there are some great tips and tricks that can make diabetes management a bit easier. 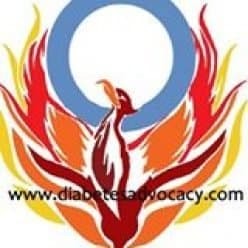 Below are things that have worked for other people living with diabetes including battling foods with a high glycemic index and testing basal rates. Please remember to consult your diabetes team before making any changes to your personal regimen. These tips are not meant to replace medical advice. We all love foods that we shouldn’t. We enjoy that trip to McDonald’s. That pizza that is just too good to turn down. When you live with diabetes, however, high fat treats can send blood sugar levels on a rollercoaster that make high-fat foods more pain than fun. She takes the number of carbohydrates (46 g for example) and the number of grams of fat (say 25g). Next, she divides the number of grams of fat by the number of grams of carbs to get a ratio of fat to carbs (25/46=.54). You know have a percentage (54%). This is the amount that you bolus on the “back end” (the extended part). You would do an extended bolus for 46g CHO with 45% bolused now and 55% extended over 2-2.5 hours. The higher the back end number, the further the bolus should be extended. You can also do this on injections if you wish to inject multiple times…injecting a portion of rapid-acting insulin immediately and the rest over a period of hours. Before trying this, please consult with your diabetes educator or doctor. Combining an insulin pump with long-acting insulin. The untethered regimen by Dr. Steven Edeleman uses the idea of injecting a basal insulin such as Lantus or Levemir to compensate for extended periods of time when disconnected from an insulin pump. A daily injection of long-acting insulin is given. The insulin pump basal rate is set to 0. The pump is then attached only to bolus foods and correct high blood sugar levels. This is often used during the summer when people are spending extended periods of time at the pool or beach and don’t want to take their pump in the water with them. John T. Walsh created the term “Super bolus” to battle such foods as morning breakfast cereal. What you do is borrow from the basal insulin effectively loading more of the insulin up front where you need it. To do this, add up the total of the basal that would be delivered before the food is gone, or for a couple of hours. You would then drop the basal rate to zero for a chosen period of time (set a temporary rate on your pump) as that basal insulin was bolused as a single dose. This makes more insulin available right away when needed the most. It will bring the blood glucose level down sooner, thus taking care of the food that is hitting faster than the bolus normally would. It leaves the latter part of the meal bolus to act in the place of the basal insulin, since the Super bolus took care of the high from the food already and the bolus “tail” is no longer needed to deal with the meal. Again, this works very well for high glycemic index meals. entire 24-hour regimen at once. Eat low fat foods with known carbohydrate count. test, make appropriate adjustments to the regime, and then test again another day. Click on the link below to view the file.